This feature chair upholstery job was a quick one to complete. Our client from Chelmer supplied her own fabric which she had on hand. So from when she accepted the quote to completing the upholstery work it only took a couple of days. Easy! 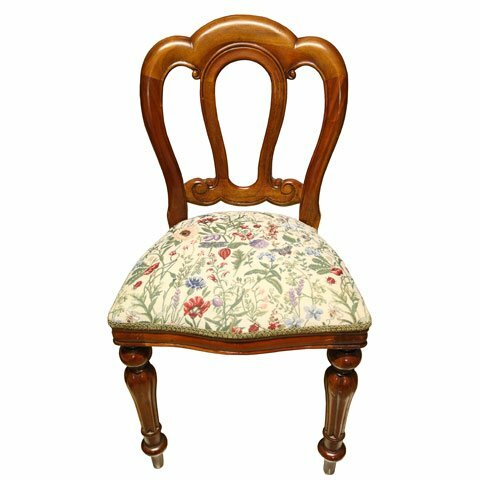 This feature chair has beautiful details and with new upholstery, it is simply gorgeous. We Scotch Guarded the fabric before delivering to the client which is part of the service we provide to our clients. This will protect the fabric and help maintain it in mint condition. So if you have a feature chair just waiting to reveal its inner beauty, please contact us for a quote.